As I’ve said 50 times in the last two days, I’m not a recruiting guru. I don’t really follow it until a few days before Signing Day. 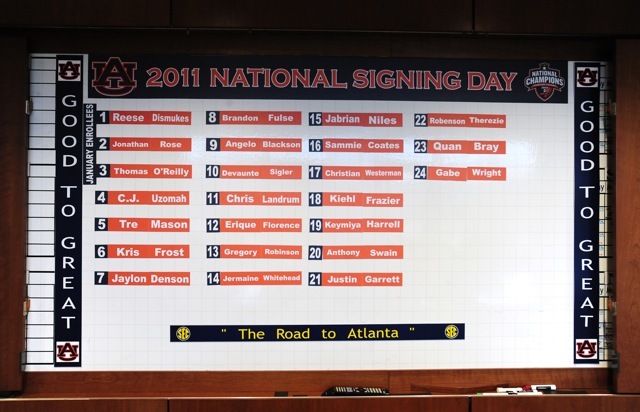 There are plenty of good sites out there if that is your thing, and there are already multiple rundowns (Bitter, Morrison, Rivals: Offense | Defense) of Auburn’s 2011 signing class. They can tell you who’s the fastest, the strongest, the biggest pick-up, and all that, but if you don’t mind I’m going to take a look at this class in the ‘Blogler’s own special way, you know… the things that matter… like best name. Best announcement: Gabe Wright pulling out the Auburn hat with “Nick Who?” on the back. It obviously meant that he was saying he was going to outshine Nick Fairley…or wait, was it the other Nick? Best name: This would hands down go to Cyrus Kouandjio if he signs, but since he has not at this point, I’ll just go with what we have. 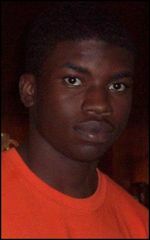 I like Quan Bray. It’s just fun to say (that rhymed), but I think I’ll go with Keymiya Harrell, mainly because I have no idea how to say it. I like Erique, too. Have you ever known an Erique? I haven’t. I love Enrique Iglesias though. Best possible nickname: Ditto on that Kouandjio thing (CyKo), so at this moment the winner is Robenson “EZ” Therezie. Yes, I know he goes by “Cadillac”, but we all know that ain’t gon’ fly. Sorry “EZ”. Whitest name: Thomas O’Reilly. Seriously, don’t you just feel like a bottle of baby powder right now? I think my body just added another freckle after reading that. You think he likes meat and potatoes? Probably pulling for the Pack this weekend, too. 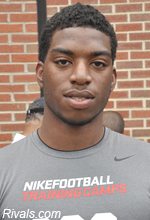 Most likely to have their name butchered by Verne Lundquist: Kiehl Frazier. What is this, Gary? Kee-uhlll? What happened to the Tim’s of the world? Most likely to have their name turned into a verb: Kris Frost. Dannnngggggg… that dude just got Frosted! Best name for the big screen: Sammie Coates. Maybe I’m just thinking of Samuel L. Jackson, or maybe I’m not sure what kind of movies I’m talking about, but Sammie Coates is one smooth name. Best name for wrestling: C.J Uzomah. The Great Uzomah from the top rope!!! The Price is Wright (Gabe Wright) … too soon? Oh….Reilly? (Thomas O’Reilly) … there’s another freckle. Best hair: Jermaine Whitehead. You gotta love the box-top. 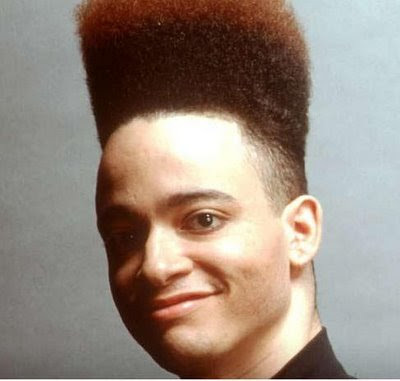 I fully expect him to be all-out Kid n’ Play by his senior year. 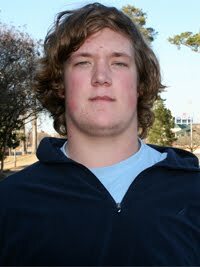 Close second to Reese Dismukes and his mop-top. Best chance to play next year: This could go to many. Cyko would play easily. Actually, I’ll just say any defensive back and any offensive lineman could play next year. In fact, most probably will. Best chance at winning the Heisman: I have to go with a skill position obviously. Kiehl Frazier has won about every high school award there is, but we’ll just have to see how he pans out. He probably has the best chance though. Best chance to make us forget about Nick Fairley: Yeah, not gonna happen, but since you’re asking I’ll go with Gabe Wright? Remember, Nick who? Best chance to make us forget about Cam Newton: Yeah, really not gonna happen, but since you’re still asking I’ll go with Frazier. We should see him play at least three years, so if he can put a few good seasons together, win a Heisman and at least one National Championship, he could make us at least put his name up there with Cam and Bo. Pretty simple tasks if you ask me. Scariest looking signee: I know he has a smooth name, but this picture of Sammie Coates has kept me up a few nights. Looks most like a dude you know: Everybody knows a guy who looks just like Reese Dismukes. I swear I went to high school with him. He did a great “Truffle Shuffle.” He also looks a lot like Everett Duke. 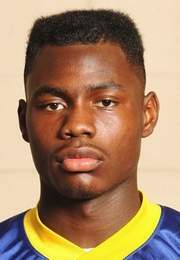 Looks just like a current Tiger: Keymiya Harrell looks just like Neiko Thorpe to me. What you think? Eh, maybe not. 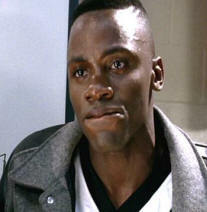 Gabe Wright looks a lot like Eric Smith, though. Looks just like someone famous: I’m not sure how famous the guy who played ‘Boobie’ Miles in Friday Night Lights is, but Jermaine Whitehead (see: best hair, above) looks just like him. I guess we could call him ‘Boobie’. Yeah, that might be the new best possible nickname. Glad he’s on our team and not yours: CyKo…where you at?!!! All of them. Most likely to steal your girlfriend by looks: Well there aren’t any Cams this year or anything, but I guess Justin Garrett would be the best looking dude. I feel really uncomfortable right now. Most ‘All-In’ signee: Without a doubt, Kiehl Frazier. That’s not saying a bunch of these other guys weren’t completely all in, but Frazier chose Auburn last May and there has never been a question of his commitment. You know what that means though. Alabama didn’t want him. Most likely to be teddy bear: Gabe Wright. Like Fairley, he’s frightening on the field but seems like somebody who’d give a nice hug off the field. Most likely to win a dance contest: Erique Florence. He’s ready for the Tiger Paws. Mr. Poindexter: Kiehl Frazier sounds like a smart dude. I’m glad he’s going to be our quarterback one day. Most fun to party with: Tre Mason. His dad scratching records in the back would be awesome. Yes, that’s really his dad. Most likely to become my favorite Auburn Tiger of all time: Quan seems fun, and can do it all. Kiehl has the makings to be a legend. Whitehead spurned Mississippi State to come to Auburn, which is always fun to hear now. Greg Robinson left LSU country to play for the good Tigers. Rose seems really humble, but really good. Basically I have no idea, so right now they’re all my favorite. Props to @LegalWarEagle on helping with a few of these. They’re all my favorite, too. Whitest name is hilarious. Nice job. Kris Frost’ll make ya JUMP! JUMP! Great awards, love the whitest name ever one! So, remember D-Adams pulling down the 4th down pass from Cam against Bama for all the marbles with his twinkle toes and nerves of steel? Think of just how clutch that play was in the big scheme of things and then ask “Now what? (as you should) Then look at that picture of Sammie Coates and I think you have your answer. He’s definitely got the look.